Ahoy, Mateys! It’s time to celebrate another exciting World’s Game Show, and we hope you’re ready for an adventure! The World’s Game Show promotion happens here several times a year, and it is back this month with a “Caribbean Cash” themed installment. Contestants will play game show-style games on stage and compete to win big! That’s right, you don’t need to cross the oceans to find the greatest amount of treasure. This year it can be found right here at WinStar World Casino and Resort! Start rounding up all your friends so you can each check out this exciting opportunity! From July 16 to August 5, patrons earned entries by playing participating electronic games with their WinStar Club Passport card. Every 10 points earned resulted in one entry. Semi-finalist drawings took place every hour between 12:00 p.m. and 9:00 p.m. during the promotional period from July 16-August 5. If your name was drawn as a semi-finalist, you could have the opportunity to go on stage to compete for your chance to win treasures of great value! WinStar will be giving away cash, Bonus Play and prizes including two boats valued up to $30,000 each, two wave runners valued up to $15,000 each and two trips valued at $5,000. You can’t miss this! The Finale Weekend will take place August 11-12 right here in the Global Event Center. 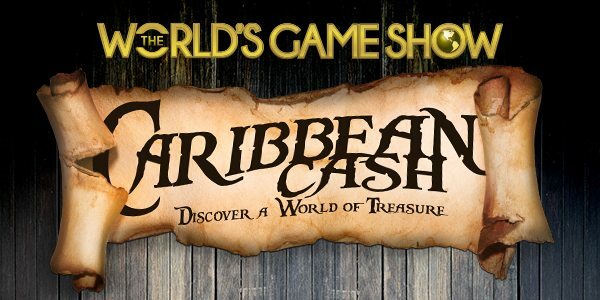 Come discover a world of treasure and cheer on the participants at The World’s Game Show: Caribbean Cash!